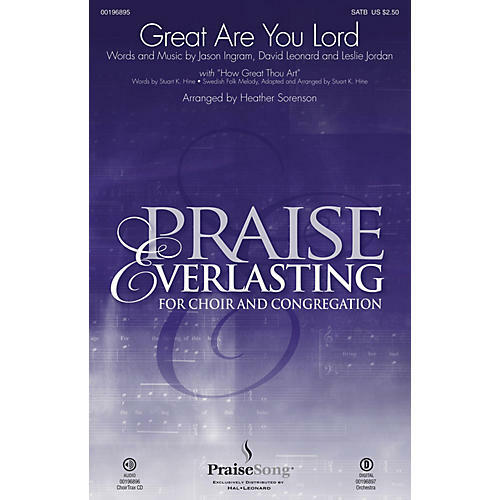 Uses: General, Praise Team Scripture: Psalm 8; Psalm 92:5 This addition to our popular Praise Everlasting series joins a contemporary praise song with a traditional hymn refrain. Two presentation options, one as a standalone anthem for choir and praise team, the other with an extended ending with congregation, are offered. The powerful text reminds us of the greatness of God and to pour out our praise in worship and adoration. Epic! Score and Parts (fl 1-2, ob, cl 1-2, tpt 1-3, hn 1-2, tbn 1-2, tba, perc, hp, rhythm, vn 1-2, va, vc, db) available as a digital download.